BBQ Sauce adds a delicious grilled flavour to this quick and easy flatbread. 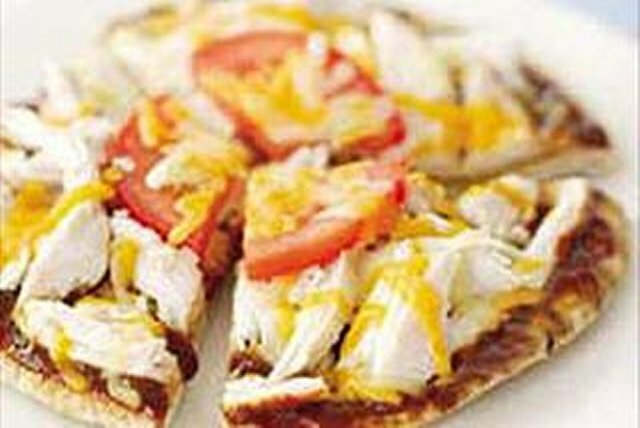 Spread pita bread with barbecue sauce; top with turkey, tomato and cheese. Place on microwaveable plate. Substitute Cracker Barrel Shredded Tex Mex Cheese for the Cracker Barrel Shredded Double Cheddar Cheese. For an extra smoky flavour, sprinkle with 1 Tbsp. Oscar Mayer Real Bacon Bits.